The past exists to be repackaged, and 2017 was no slouch in that department, offering treasures like a remastered 50th anniversary edition of Sgt. Pepper, an expanded Purple Rain and a jam-packed Master of Puppets box set, along with anthologies from Elvis, David Bowie and Hüsker Dü. Luaka Bop delivers a treasure trove of rare recordings from the artist's non-jazz period and sheds new light on the importance of her contributions. A double-disc set containing all the Columbia recordings from the underappreciated hard-rocking '70s power poppers Artful Dodger. Excellent 1972 album recorded with Muscle Shoals musicians. 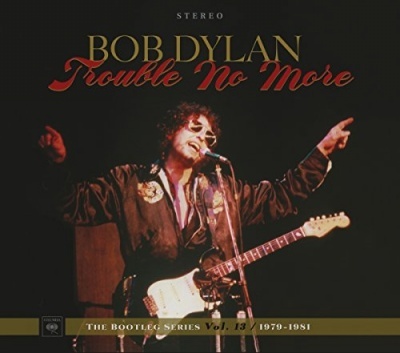 Dylan's gospel years get revived in the 13th installment of the Bootleg Series. Recorded from 1969 to 1971, 22 rare tracks offer a look at what the underappreciated pop genius was doing before Big Star. Heavy yet energetic, sweet yet scathing, Curve's debut full-length is their defining work, and one of the best early-'90s alternative albums. A handsome, alluring, and exceptional-sounding box containing all of Bowie's LPs from 1977-1982. Def Leppard's 1987 blockbuster set the standard for pop-metal in the late '80s. This 1968 club date is a hard-grooving, Detroit soul-jazz stunner from guitarist and organist Lyman Woodard and drummer Melvin Davis. Complete with proper sequencing and remastered sound, this Tom Wilson-produced album is among the greatest folk-rock albums of the 1960s. All of the swinging, surfing, dancing, early-'60s RCA singles from the Guitar Man. Everything the pioneering pub rock band ever recorded. This compilation assembles all 15 of the artist's Gamble, Huff, and Bell sessions in a single volume, and includes an unreleased track. 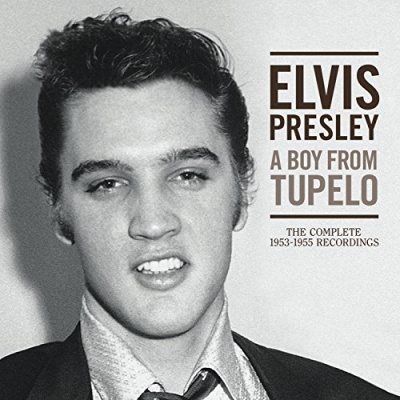 A triple-disc set containing everything Elvis Presley recorded between 1953-1955, including all the Sun sessions and Louisiana Hayride performances. The singer/songwriter's visionary expansion of tropicalia was misunderstood in 1971, but is now justly regarded as a Brazilian rock classic. A mammoth seven-disc set that offers selections from the storied band's first 13 albums, live material, BBC sessions, alternate takes, and 55 unreleased tracks! The Buckingham/Nicks era of Fleetwood Mac came to a glorious end on this glimmering 1987 album. Reissue of final album from Scott Miller's smart pop band; more user-friendly, but still reflects their adventurous personality. One of the legendary Grateful Dead shows, which was inducted into the National Recording Registry in 2012, gets an official release. From the ether of history comes this glorious testament to the artist and the vast creativity of Brazilian jazz during the middle of the 1970s. Exhaustive box set documents the first four years of the iconic punk band through rare live and studio recordings. First ever artist-approved reissue from the dynamic 1960s soul and R&B singer who lit up mid-'60s Toronto. Excellent triple-disc set containing all of Jimmy Reed's singles from 1955-1961. Five-disc box set skims the cream from the blues icon's studio work, live recordings, and duets. This double-disc package offers painstaking mono remasters of Nyro's enduring first two albums and contains the artist's versions of many of the songs that established her. Gloriously complex 1986 record (and the final album featuring bassist Cliff Burton) revealed the speed metal band at its peak. A dusky, hazy unreleased solo acoustic album Neil Young recorded in 1976. Overview of the power pop hero's solo work includes a fiery unreleased live-in-the-studio session. The expanded Purple Rain marks the first deep dive into Prince's legendary Vault. An invitation into the secret lab of one of the 20th century's most inventive musical minds. Remastered set features the first three albums from these Jersey Shore heroes in full, as well as a rare live set from 1976. A clearinghouse of strong outtakes and live material from the Smiley Smile/Wild Honey era. One of the most famous and influential albums ever recorded, the beginning of a new era of sophistication in rock. The seven seasonal Beatles Fan Club singles from the '60s finally get a reissue. Exhaustive collection of smash hits that never were by one of the most exciting bands of the '60s, with new stereo mixes added. Lavish seven-CD box compiling A-sides and select B-sides from the many singles and EPs by Mancunian post-punk innovators the Fall. Before Creedence Clearwater Revival, John Fogerty and crew were a tough and tunfeul garage rock band that is well worth discovering. Excellent cross-licensed collection that delivers the highlights of Roy Wood and company's 1966-1972 lifespan. Double-disc collection of songs, both released and unreleased, from the long and brilliant career of the Scottish indie pop band. Superlative document of a 1986 club show that captures this band at its combustible best. The first official release of the Rolling Stones' BBC sessions from 1963-1965. A double-disc set chronicling the Searchers' exceptional power pop comeback of 1979-1981. The Smiths hit their stride on their classic third album. Career-spanning collection of the Bay Area power pop group's work, lovingly put together by the band's own bassist, Alec Palao. Excellent career-spanning compilation highlighted by rare B-sides and non-LP singles. Long thought lost to time and previously unreleased, this revelatory soundtrack to Roger Vadim's painstakingly restored film is offered in a deluxe package. Definitive, career-inclusive set honoring the wild noise rock band that blazed the trail for Seattle's underground rock scene. The first fully licensed comp of obscure acid folk and underground rock from Japan, handsomely presented by Light in the Attic. A collection of covers of songs Harry Nilsson wrote between 1965 and 1972. The follow-up to 2016's Close to the Noise Floor, another engrossing four-disc documentation of early underground electronic music. Brilliantly chosen, well-documented deep dive into a bevy of private press and barely heard soft rock treasures from the '70s. Fascinating, thought-provoking collection of jazz, funk, and R&B reflecting the Afrocentric ideals of the Black Power movement. A brain-fried collection of heavy bad trips from obscure '70s acid rockers. The group's breakthrough 1996 album is expanded to a five-disc set with demos, outtakes, alternate versions, and a full concert. 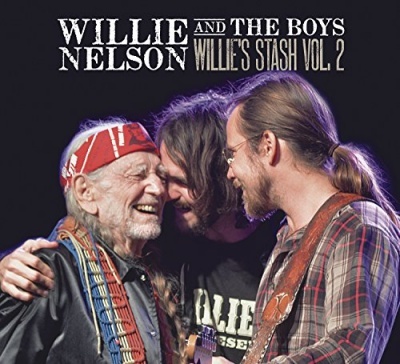 A cozy set of classic country covers recorded by Willie and his sons in 2012.